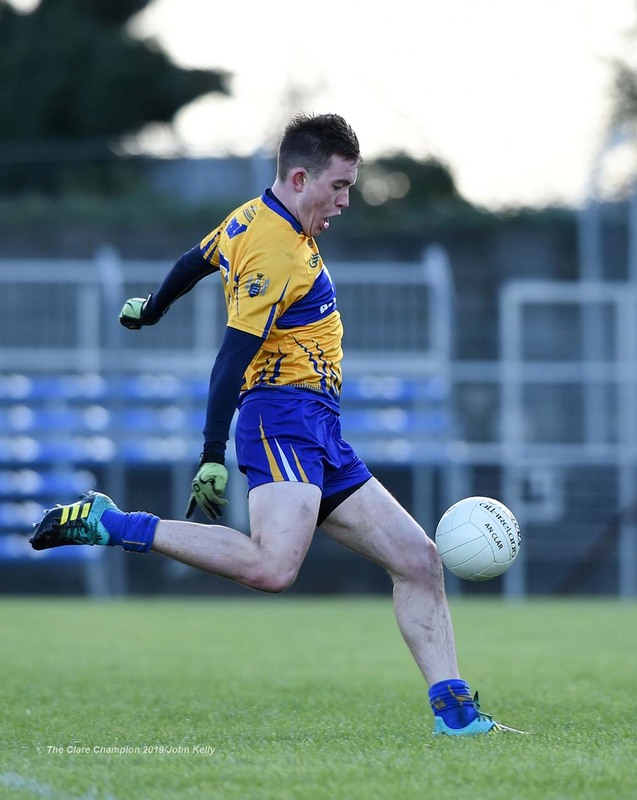 Man Of The Match David Tubridy celebrates a second half point for Clare during their National League game against Cork at Cusack Park Park. Photograph by John Kelly. 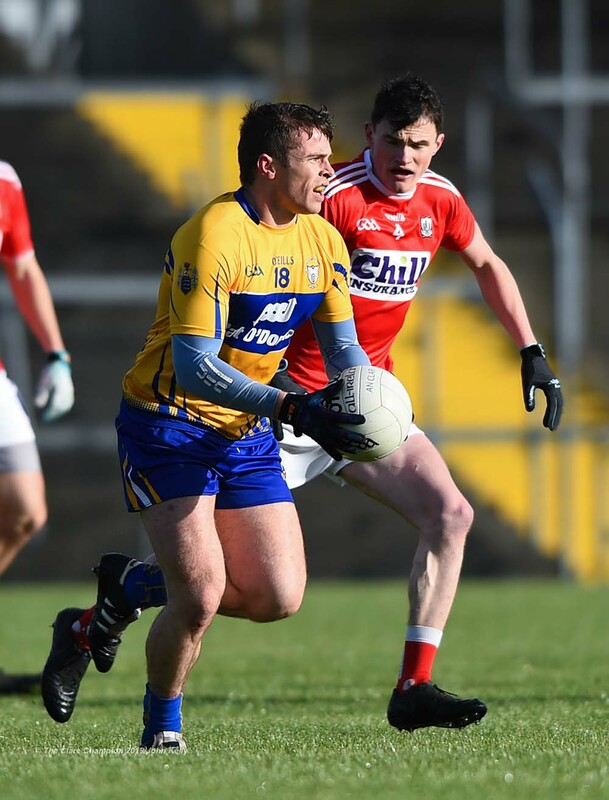 1-7 from David Tubridy helped Clare to a second successive National League victory over Cork in this Division Two encounter as Clare ran out winners by 3-13 to 1-10. The Doonbeg veteran took less than a minute to get on the scoresheet, with Jamie Malone playing a teasing ball across the Cork goalmouth which Tubridy palmed to the net. Cork responded with a point from Matthew Taylor, but great work from Clare captain Gary Brennan saw Conal O hAinifein thunder into space and finish a brilliant shot low to the Cork net to put the Banner into the driving seat. Cork hit back with the next two scores to leave just three between the sides, but this was as close as they would get. 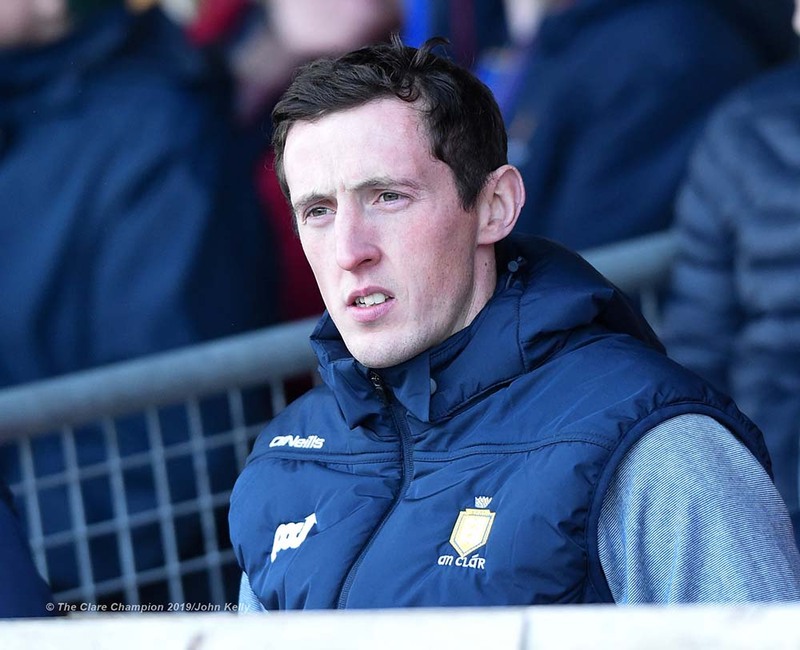 Tubridy notched a brace which was answered by Stephen Cronin, but another Banner double through Dale Masterson and Dean Ryan left Clare 2-4 to 0-4 clear with ten minutes to go to the break. 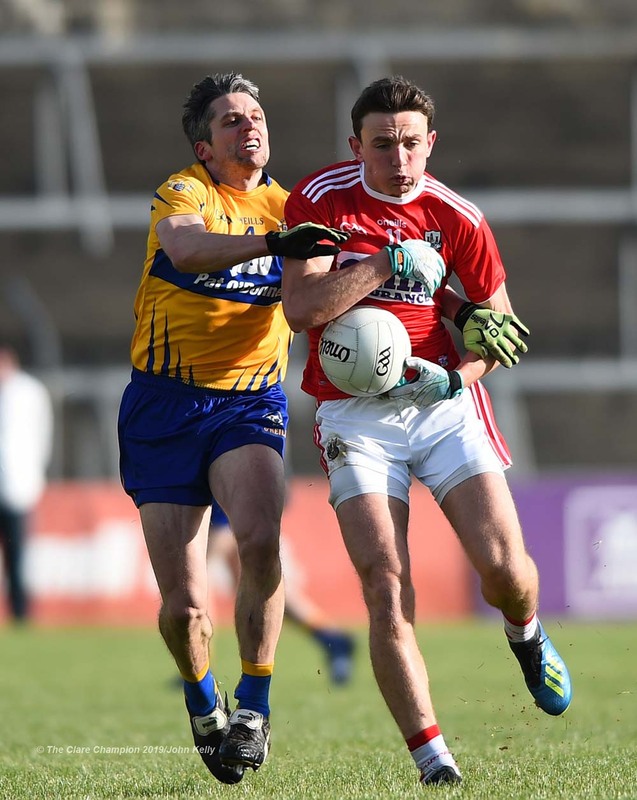 Luke Connolly and Stephen Sherlock pointed frees for Cork, but Tubridy and Conor Finucane hit back for the home side to leave them 2-6 to 0-6 ahead at half-time. 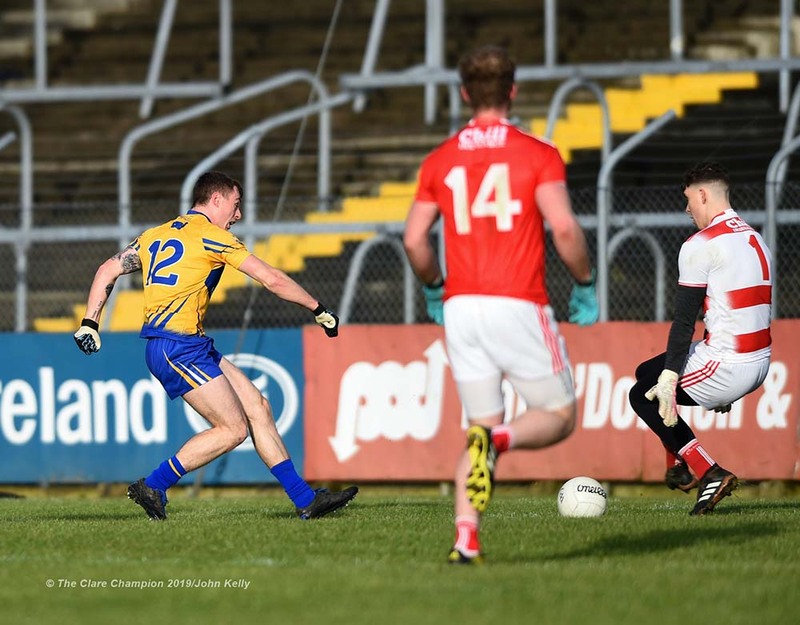 Scores proved harder to come by in the second half, with Sean Collins and Jamie Malone pointing either side of a sole effort from Cork’s Liam O’Donovan. 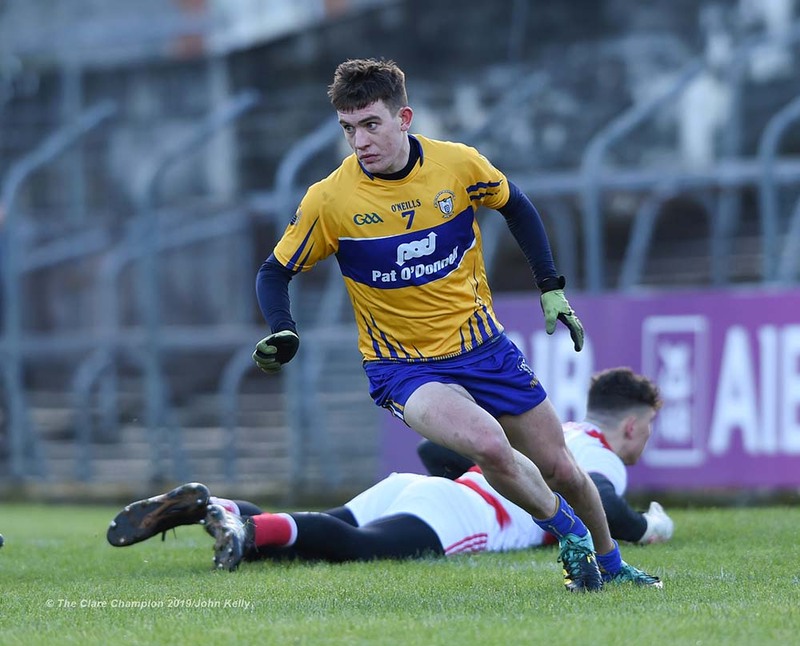 Michael Hurley brought it back to a six-point deficit soon after, but Tubridy was to the fore once more with a brace of long range scores to keep Clare in the ascendency. 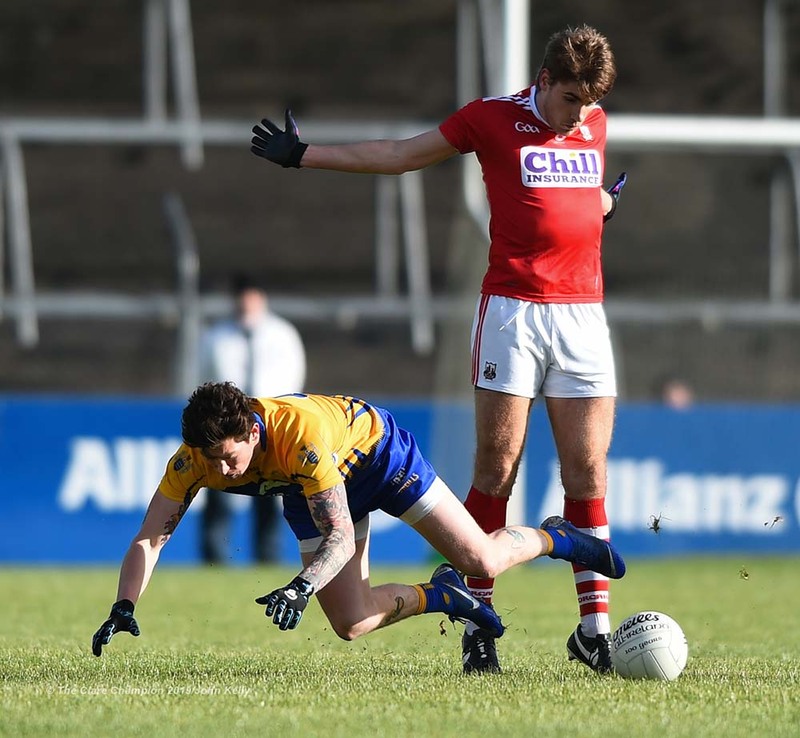 Cork did breach Clare’s rearguard with five minutes of normal time remaining, when Ian Maguire got a fist to a high hanging ball to leave it Clare 2-10 Cork 1-8 as the clock ticked toward full-time. Clare responded well once more with another point from Tubridy, with Matthew Taylor hitting one back for the Rebels. Conor Finucane and Tubridy were on target once more with a close range free from Luke Connolly coming in response. 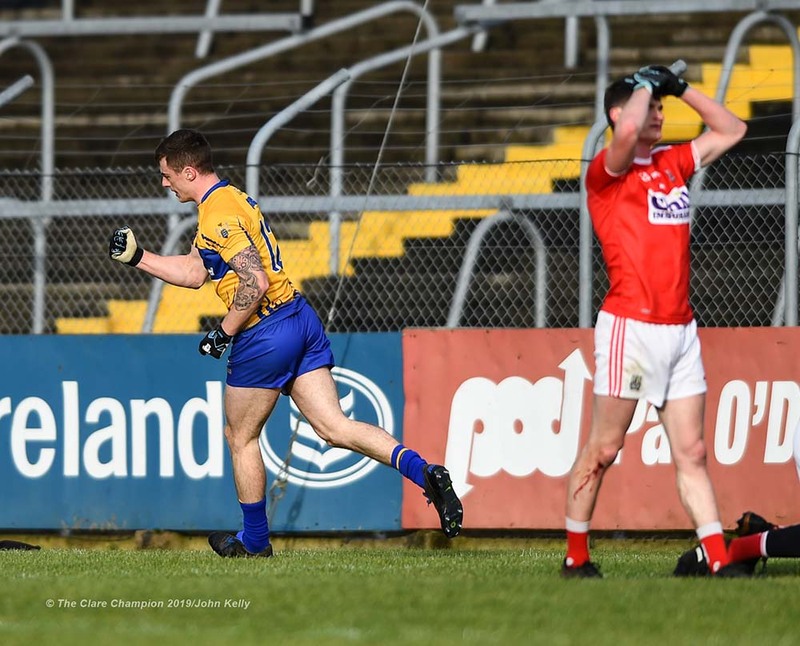 The final score of the game saw St Josephs Miltown team-mates Cormac Murray and Kieran Malone combine, with Malone rolling the ball to the back of the Cork net to seal a huge win for Clare in what is proving to be an unpredictable Division Two campaign. Scorers for Cork: Ian Maguire (1-0), Luke Connolly (0-3, 2f), Matthew Taylor (0-2, 1f), Stephen Sherlock (0-2, 2f), Liam O’Donovan, Michael Hurley and Stephen Cronin (0-1 each). 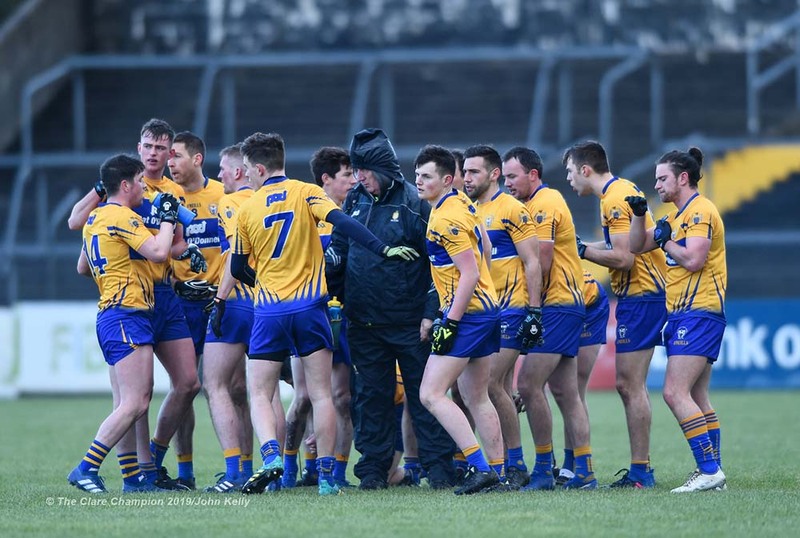 Clare: Pierce DeLoughery; Kevin Harnett, Cillian Brennan, Gordon Kelly; Dean Ryan , Aaron Fitzgerald, Conal O hAinifein; Gary Brennan (c), Darragh Bohannon; Cian O’Dea, Jamie Malone, Dale Masterson; Conor Finucane, Keelan Sexton, David Tubridy. Subs: Pearse Lillis for Bohannon (HT), Sean Collins for Sexton (HT), Kieran Malone for Lillis (53 mins, inj), Alan Sweeney (St Breckan’s) for Masterson (63 mins), Cormac Murray for Finucane (74 mins). 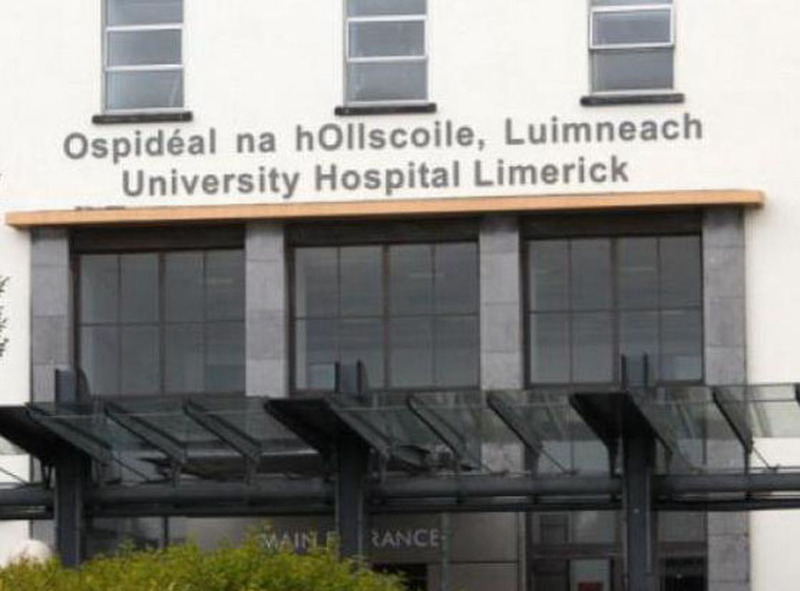 Cork: Mark White; Kevin O’Donovan, Kevin Flahive, Conor Dennehy; Stephen Cronin, |Stephen Sherlock, James Loughery; Ian Maguire (c), Ronan O’Toole; Tomas Clancy, Mark Collins, Mattie Taylor; Michael Hurley, Ruairi Deane, Luke Connolly. Subs: Liam O’Donovan (Clonakilty) for Loughery (9 mins), Aidan Browne (Newmarket) for Cronin (47 mins), Paul Walsh (Kanturk) for O’Donovan (47 mins, inj), Peter Kelleher (Kilmichael) for Clancy (60 mins), Damien Gore (Kilmacbea) for Sherlock (60 mins). 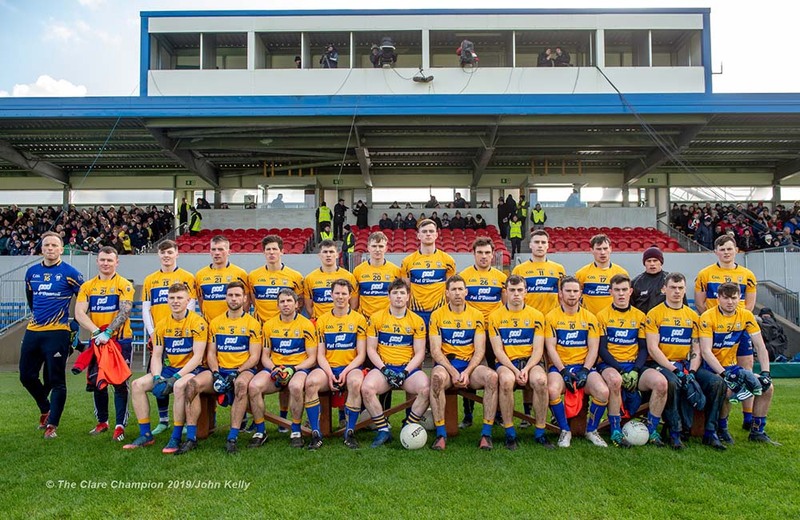 The Clare Team Before their National League game against Cork at Cusack Park Park. Photograph by John Kelly. 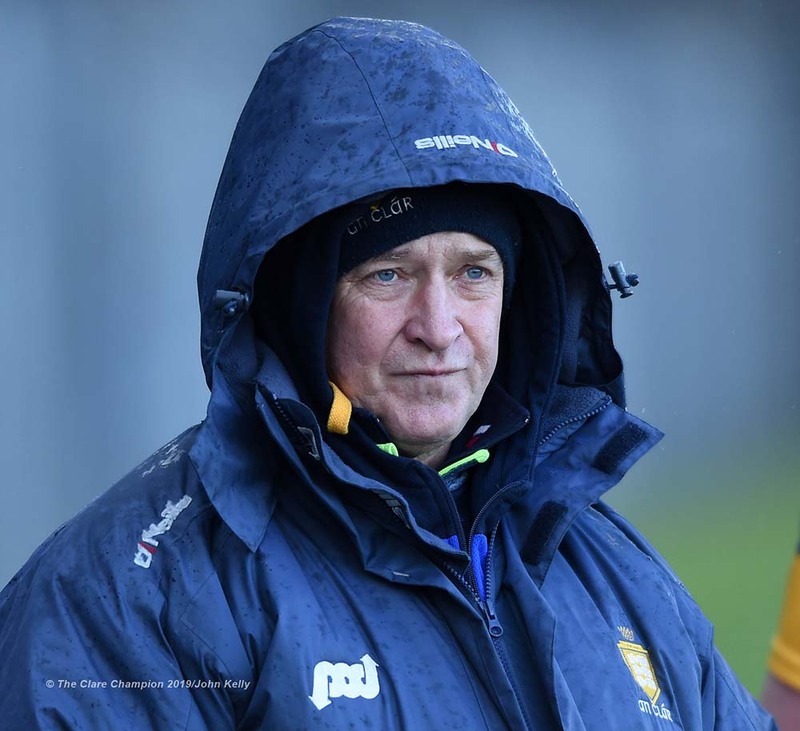 Cathal O Connor of Clare watches from the stand during their National League game against Cork at Cusack Park Park. Photograph by John Kelly. 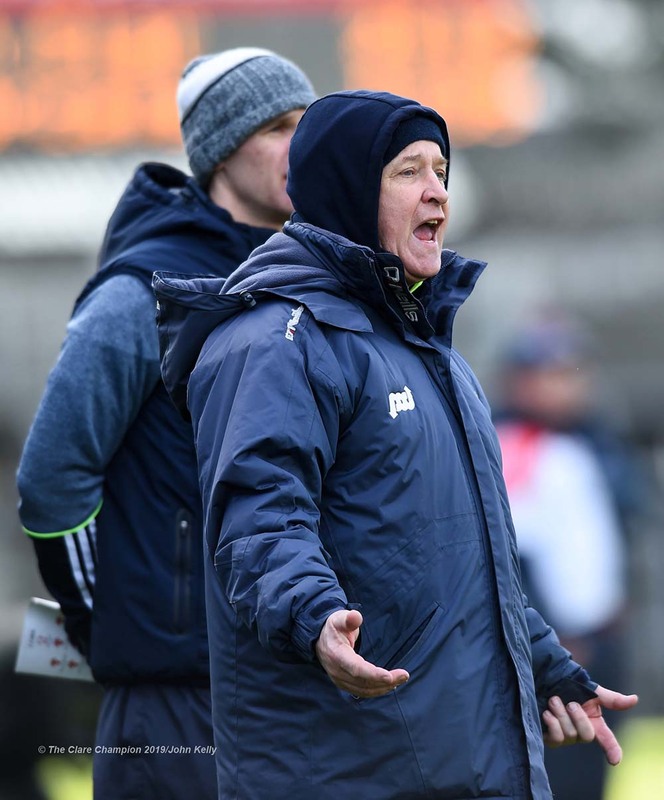 Clare manager Colm Collins on the sideline during their National League game against Cork at Cusack Park Park. Photograph by John Kelly. Clare break from the team huddle before their National League game against Cork at Cusack Park Park. Photograph by John Kelly. David Tubridy of Clare celebrates his early goal during their National League game against Cork at Cusack Park Park. Photograph by John Kelly. 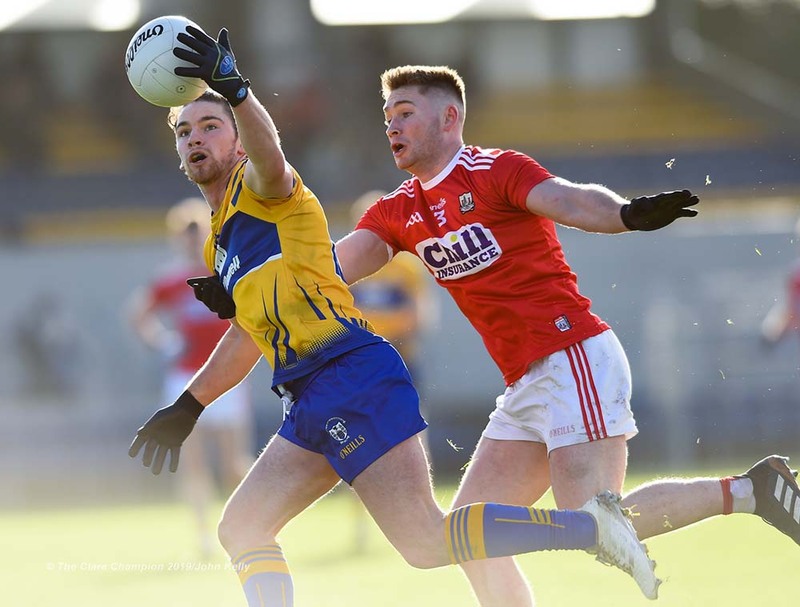 Jamie Malone of Clare in action against James Loughrey of Cork during their National League game at Cusack Park Park. Photograph by John Kelly. 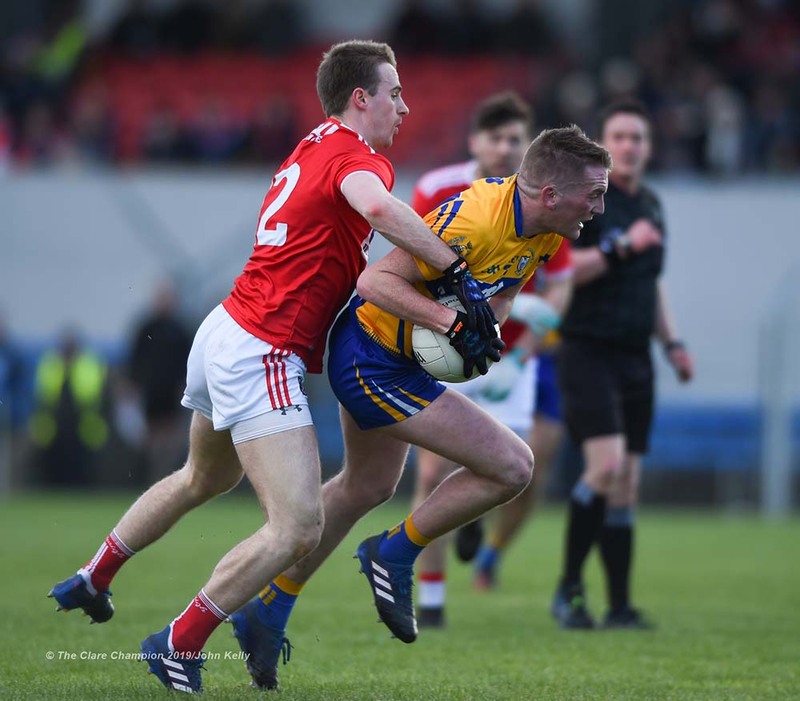 Conal O hAinifein of Clare in action against Ruairi Deane of Cork during their National League game at Cusack Park Park. Photograph by John Kelly. Conal O hAinifein of Clare scores a goal against Cork during their National League game at Cusack Park Park. Photograph by John Kelly. 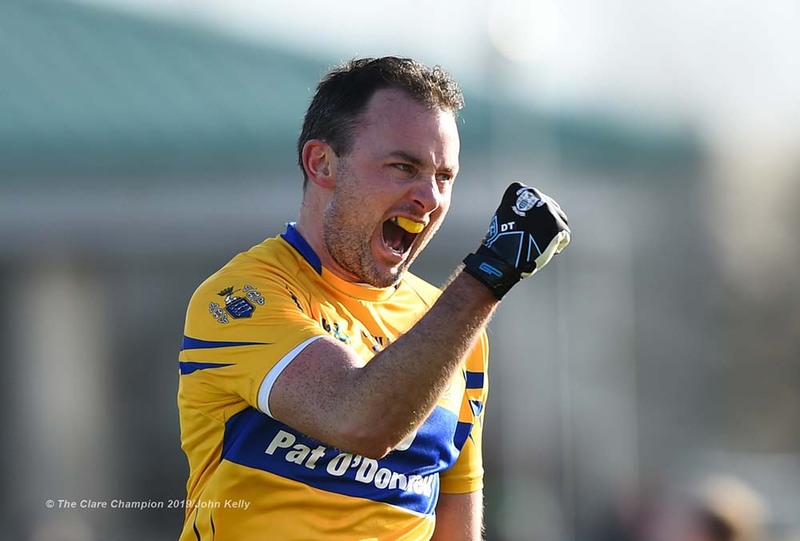 Conal O hAinifein of Clare turns after he scores a goal against Cork during their National League game at Cusack Park Park. Photograph by John Kelly. 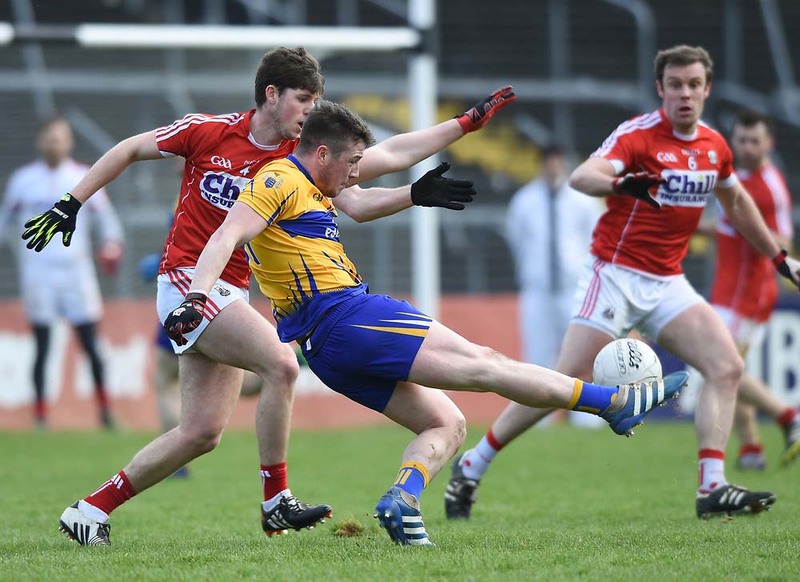 Keelan Sexton of Clare in action against Ian McGuire of Cork during their National League game at Cusack Park Park. Photograph by John Kelly. 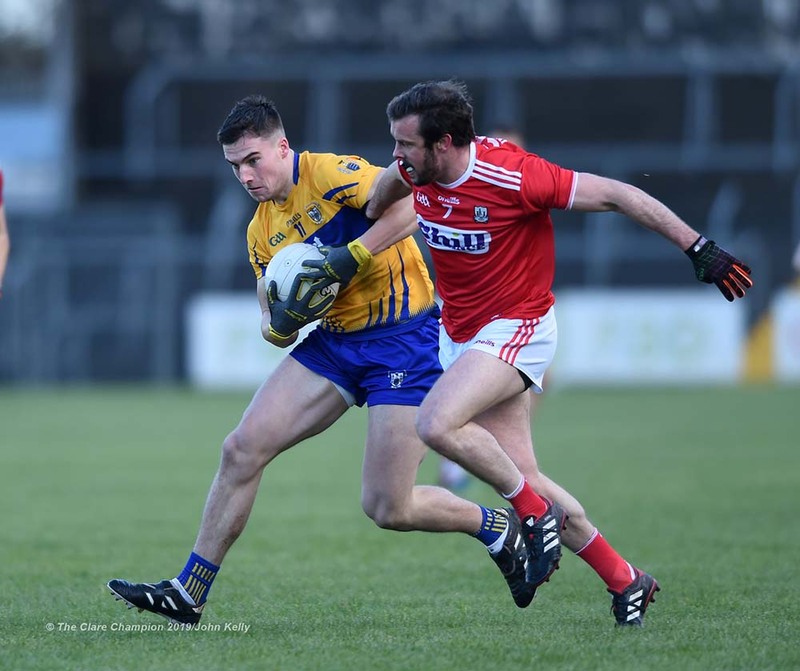 Gordon Kelly of Clare in action against Mark Collins of Cork during their National League game at Cusack Park Park. Photograph by John Kelly. 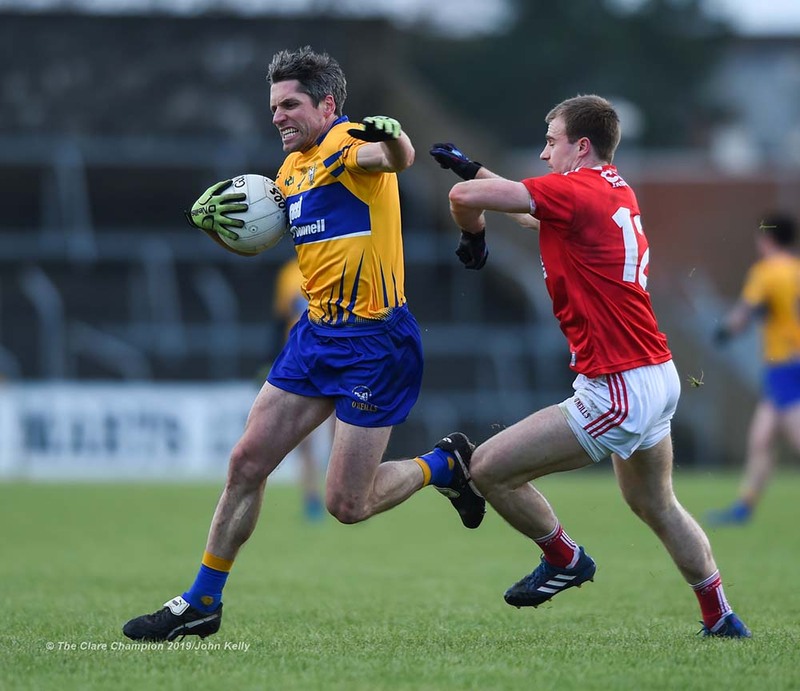 Dean Ryan of Clare in action against Ian Maguire of Cork during their National League game at Cusack Park Park. Photograph by John Kelly. 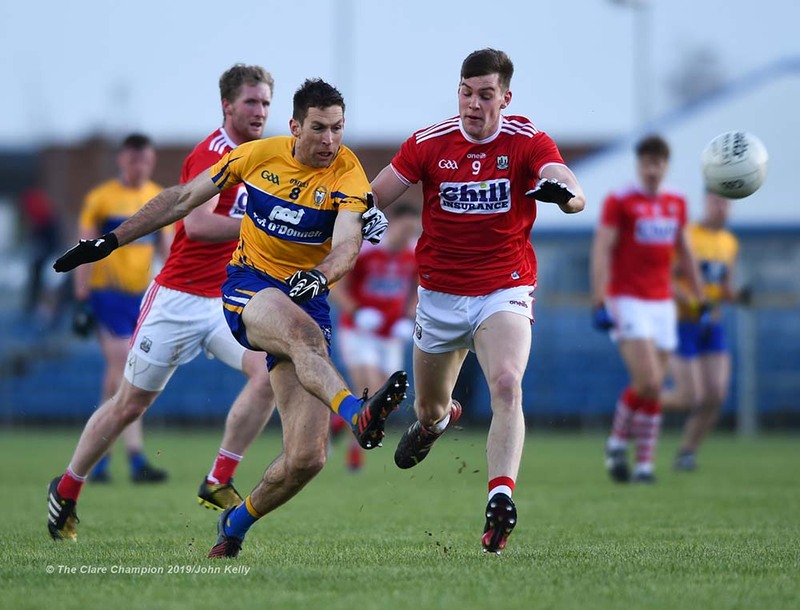 Gary Brennan of Clare in action against Ronan O Toole of Cork during their National League game at Cusack Park Park. Photograph by John Kelly. 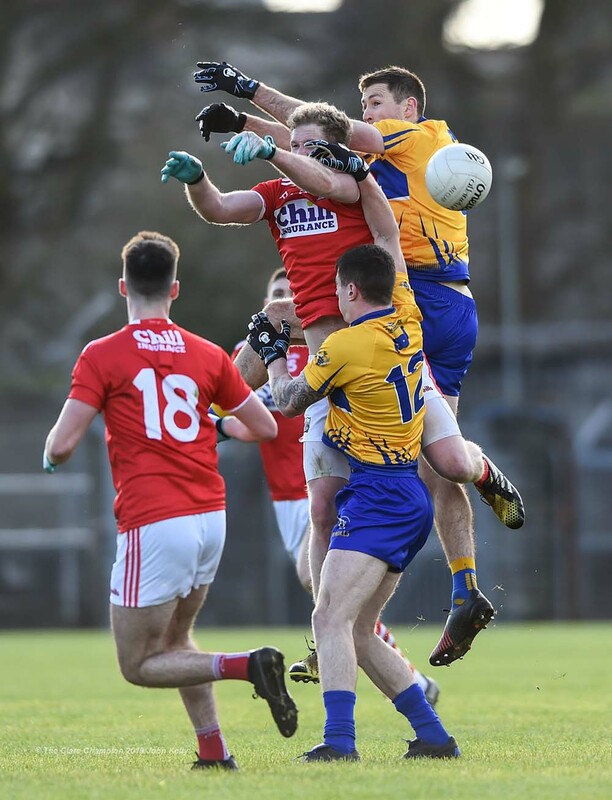 Jamie Malone of Clare in action against Matthew Taylor and Ruairi Deane of Cork during their National League game at Cusack Park Park. Photograph by John Kelly. 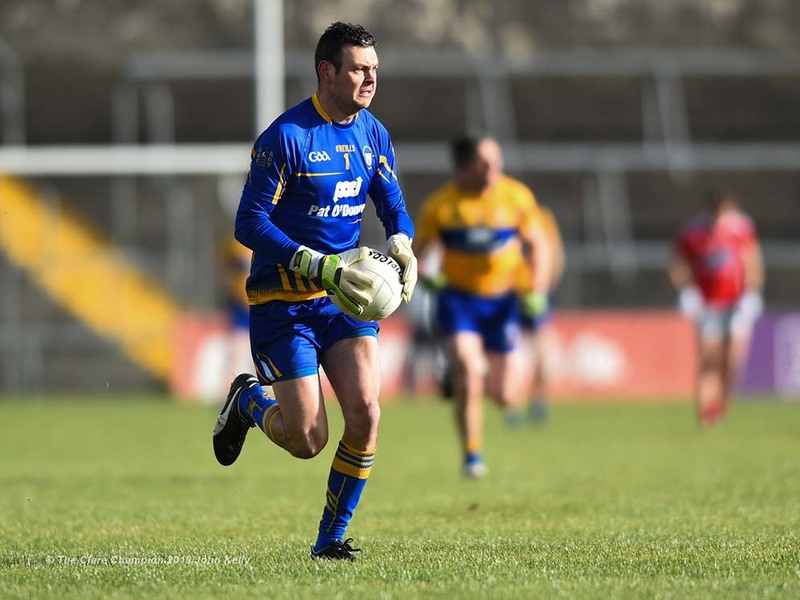 Goalie Pierce De Loughrey of Clare makes a run outfield during their National League game against Cork at Cusack Park Park. Photograph by John Kelly. Gordon Kelly of Clare in action against Matthew Taylor of Cork during their National League game at Cusack Park Park. Photograph by John Kelly. 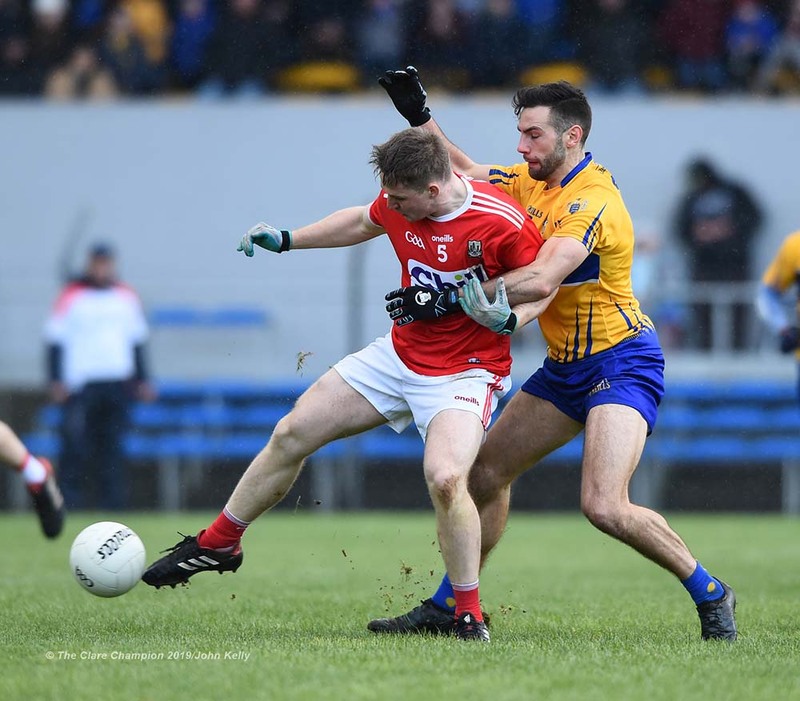 Matthew Taylor of Cork in action against Dale Masterson of Clare during their National League game at Cusack Park Park. Photograph by John Kelly. 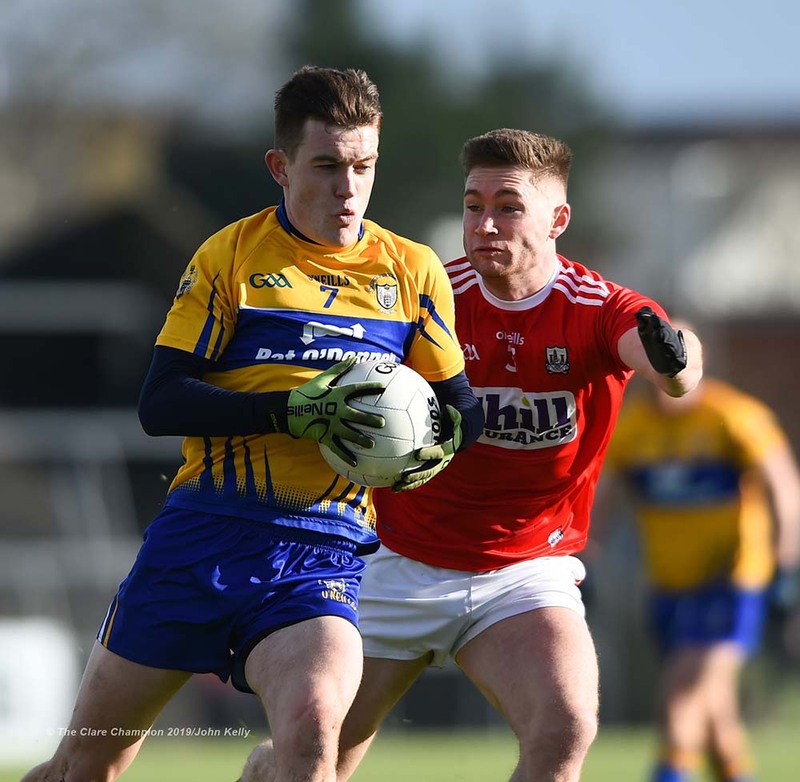 Keelan Sexton of Clare in action against Matthew Taylor of Cork during their National League game at Cusack Park Park. Photograph by John Kelly. 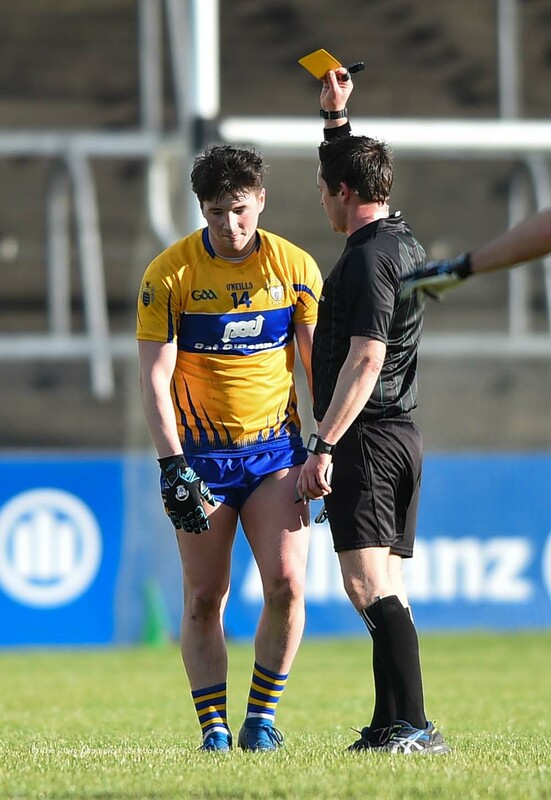 Keelan Sexton of Clare is shown a yellow card during their National League game against Cork at Cusack Park Park. Photograph by John Kelly. 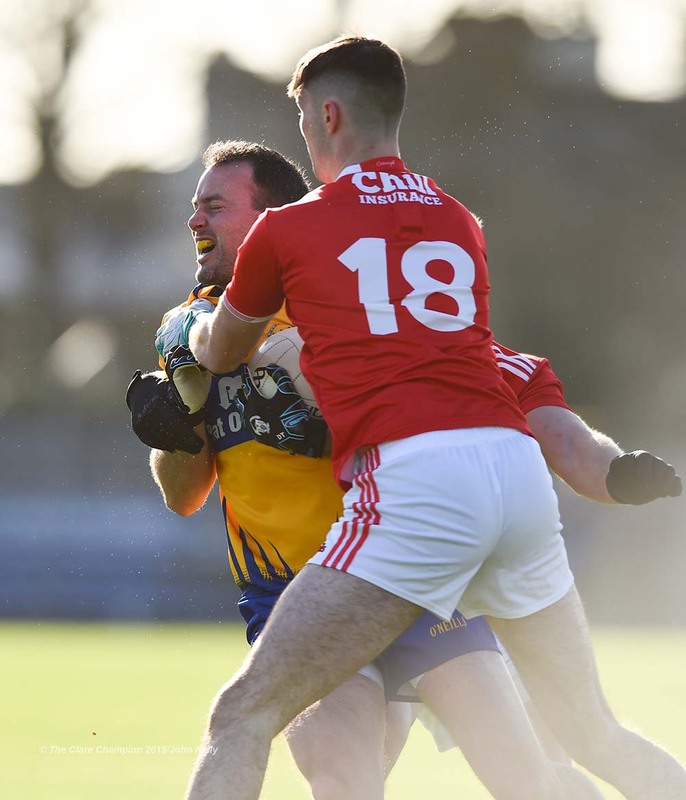 Conall O hAinifein of Clare in action against Kevin Flahive of Cork during their National League game at Cusack Park Park. Photograph by John Kelly. 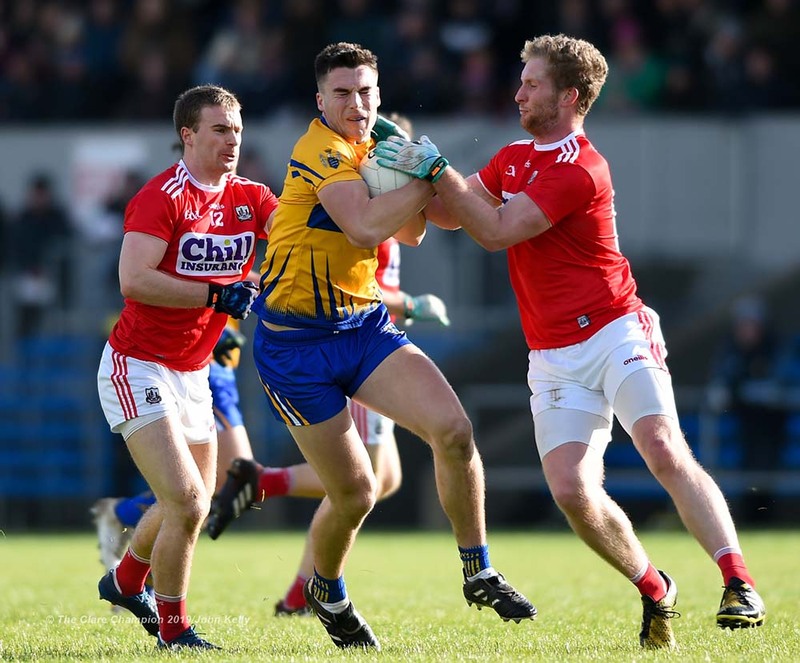 Conall O hAinifein of Clare in action against Kevin Flahive and Matthew Taylor of Cork during their National League game at Cusack Park Park. Photograph by John Kelly. 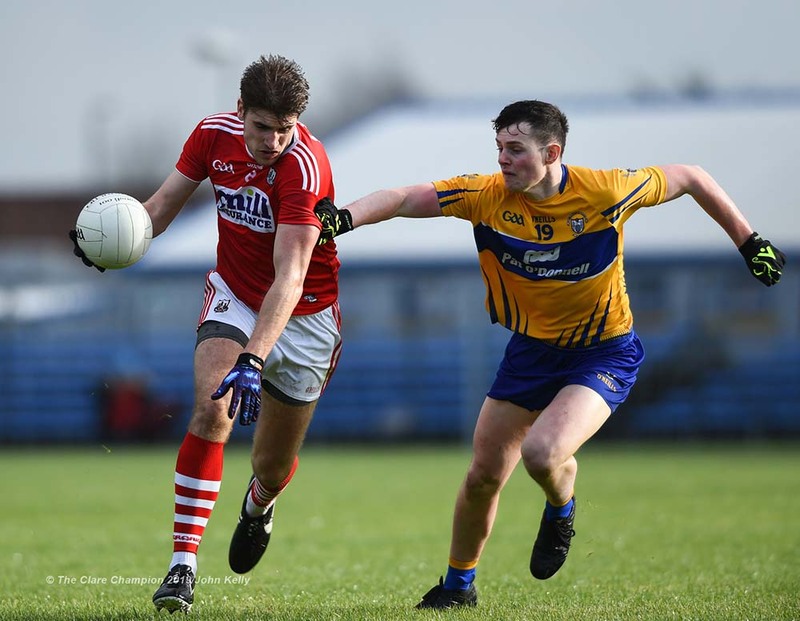 Ronan O Toole of Cork in action against Gary Brennan of Clare during their National League game at Cusack Park Park. Photograph by John Kelly. 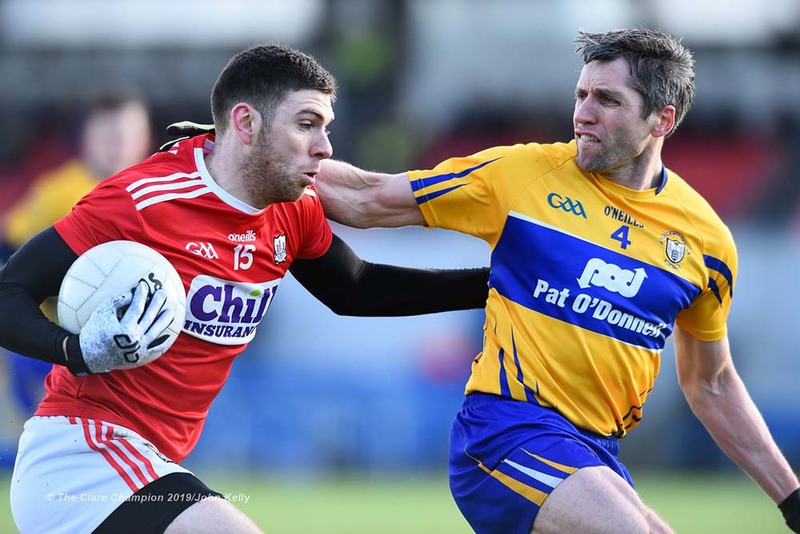 Liam O Donovan of Cork in action against Dean Ryan of Clare during their National League game at Cusack Park Park. Photograph by John Kelly. 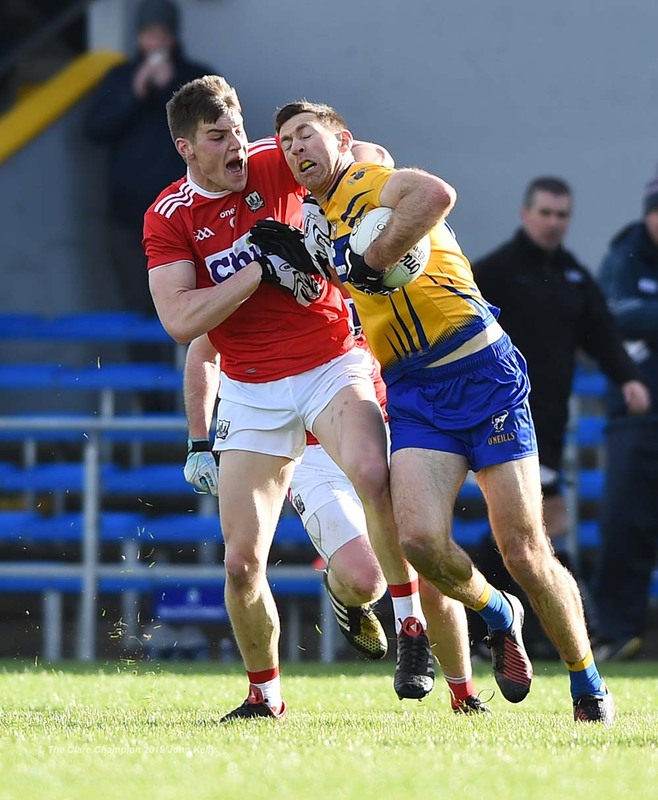 Ronan O Toole of Cork in action against Conor Finucane of Clare during their National League game at Cusack Park Park. Photograph by John Kelly. 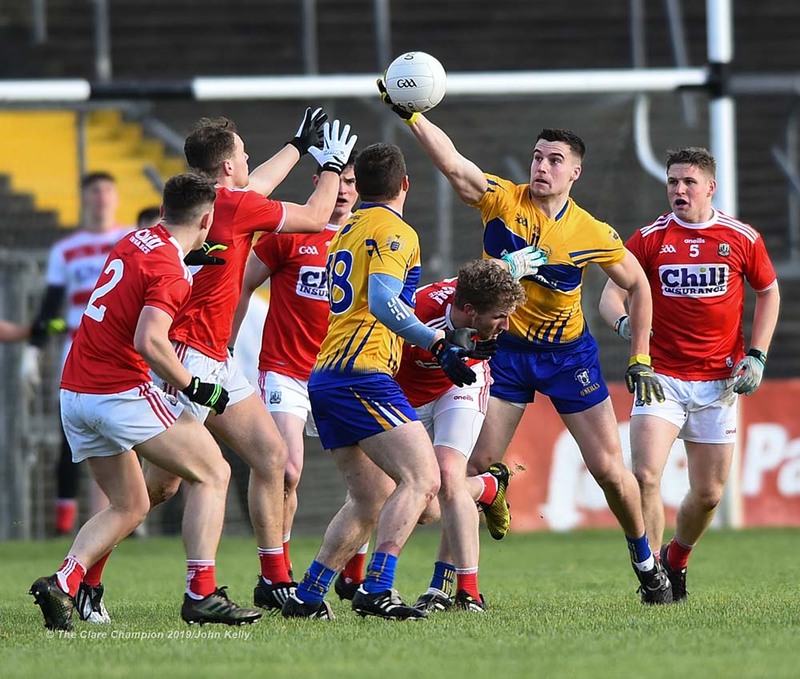 Dean Ryan and Sean Collins of Clare in action against the Cork defence during their National League game at Cusack Park Park. Photograph by John Kelly. 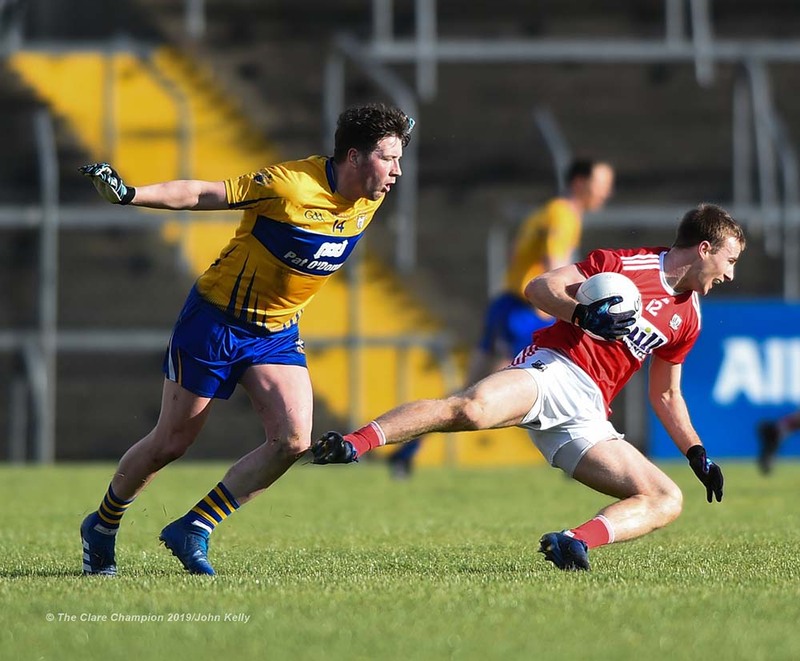 Sean Collins of Clare in action against Conor Dennehy of Cork during their National League game at Cusack Park Park. Photograph by John Kelly. Luke Connolly of Cork in action against Gordon Kelly of Clare during their National League game at Cusack Park Park. Photograph by John Kelly. 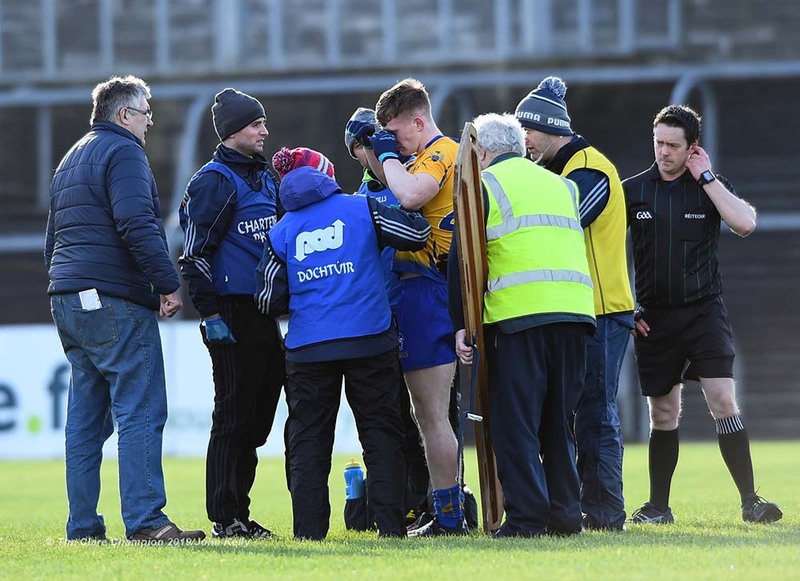 Pearse Lillis of Clare goes down injured during their National League game against Cork at Cusack Park Park. Photograph by John Kelly. 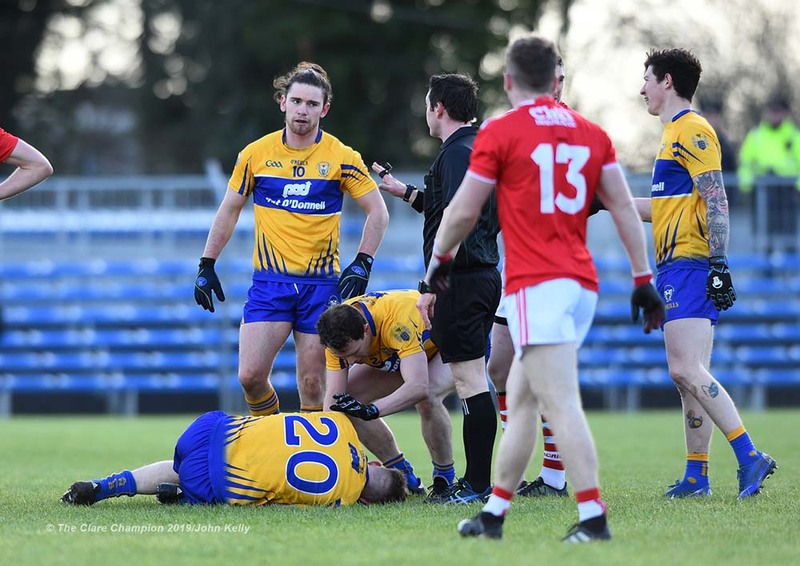 Pearse Lillis of Clare stands up after going down injured during their National League game against Cork at Cusack Park Park. Photograph by John Kelly. 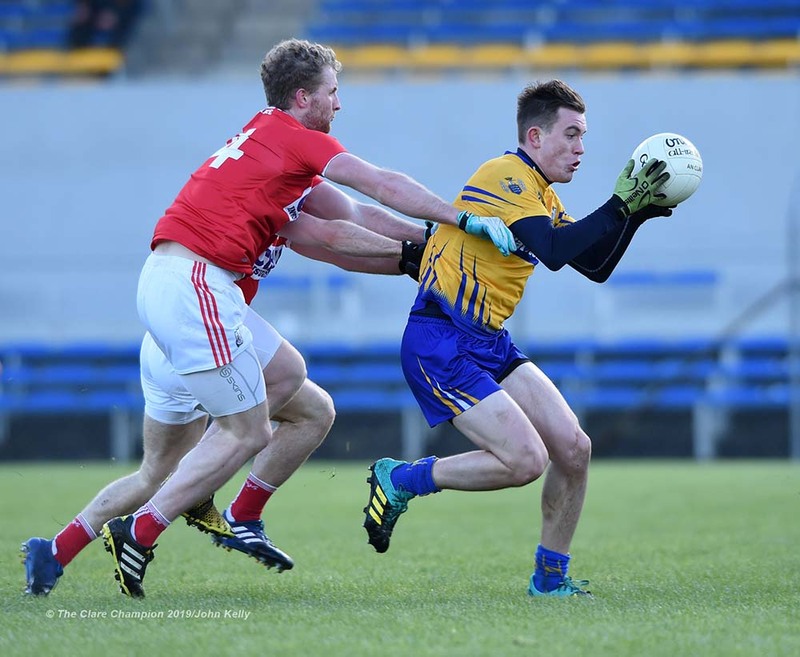 David Tubridy of Clare in action against Aidan Browne of Cork during their National League game at Cusack Park Park. Photograph by John Kelly. 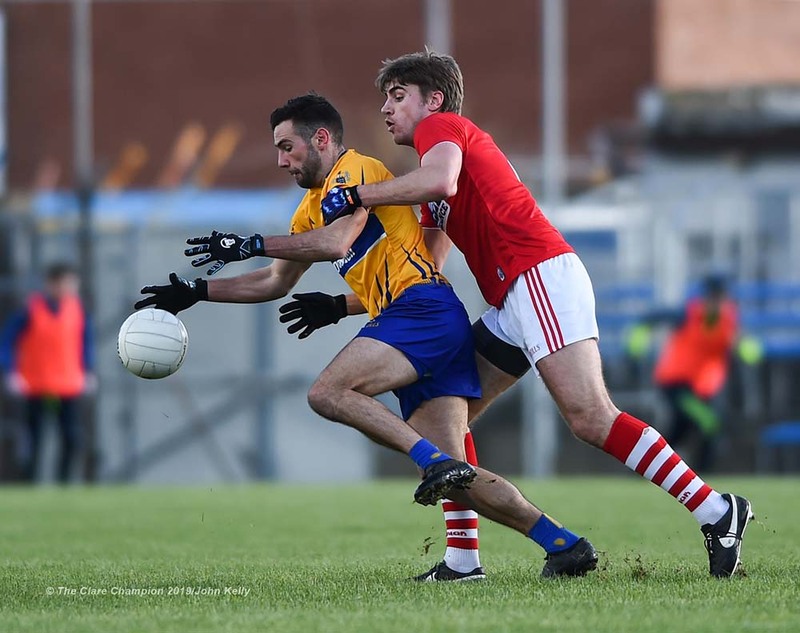 Cian O Dea of Clare in action against Kevin Flahive of Cork during their National League game at Cusack Park Park. Photograph by John Kelly. 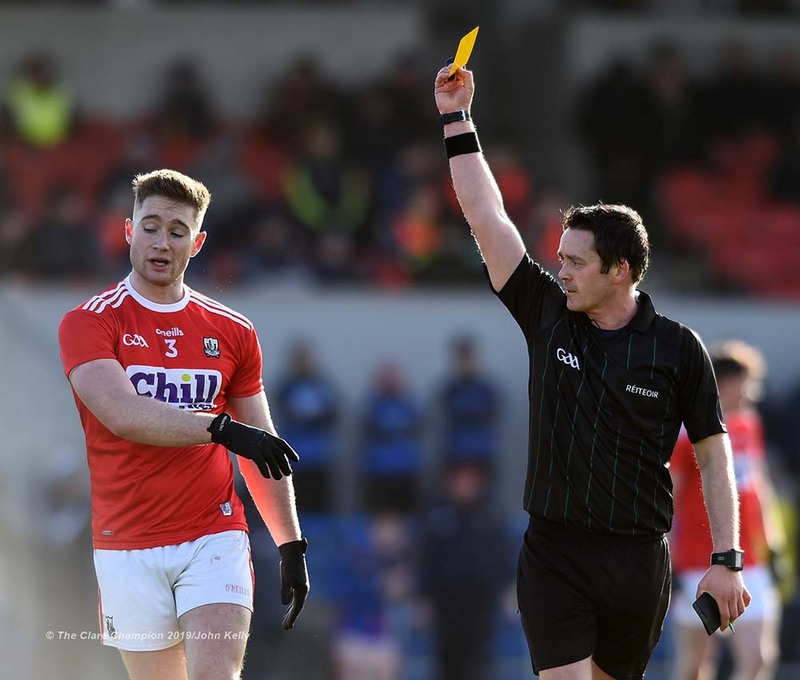 Kevin Flahive of Cork is shown a yellow by referee Paddy Neilan during their National League game at Cusack Park Park. Photograph by John Kelly. 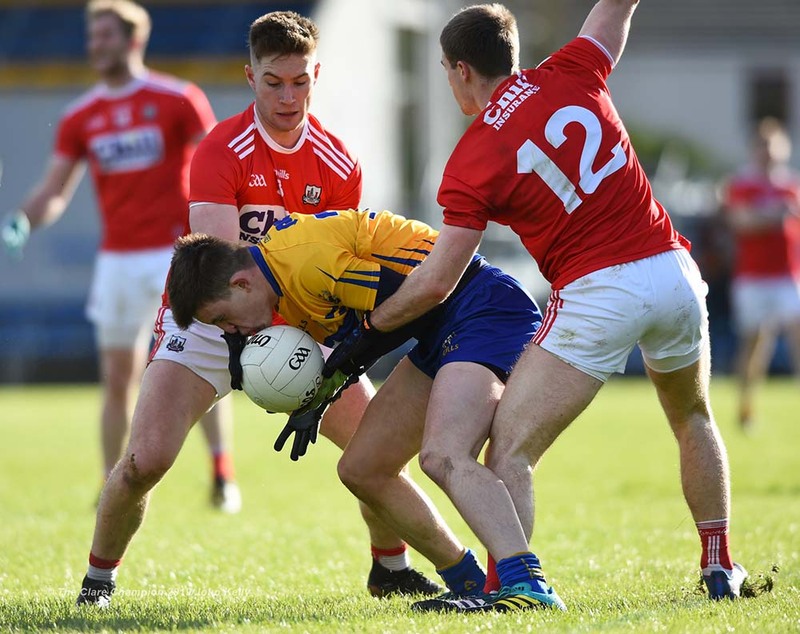 Ruairi Deane of Cork in action against Gary Brennan and Kieran Malone of Clare during their National League game at Cusack Park Park. Photograph by John Kelly. 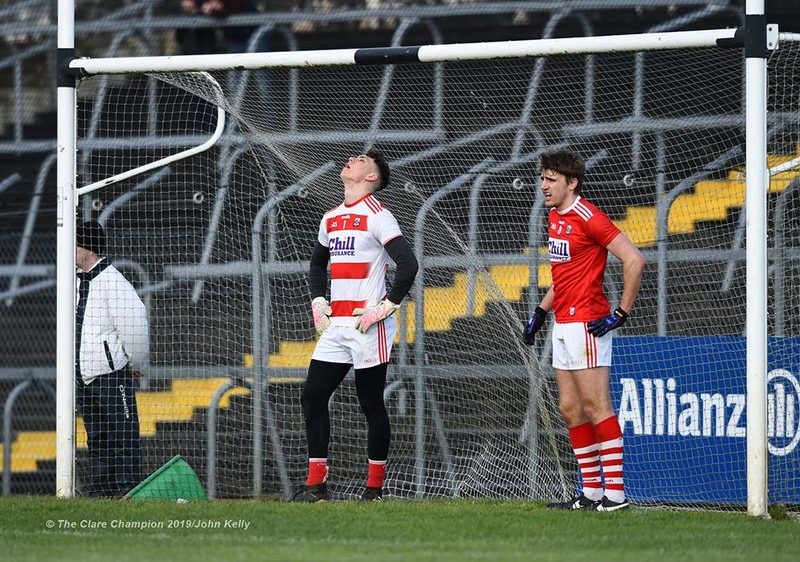 Goalie Mark White of Cork reacts after letting a ball out for a 45, late on during their National League game at Cusack Park Park. Photograph by John Kelly. Kieran Malone of Clare scores a late goal during their National League game against Cork at Cusack Park Park. Photograph by John Kelly. 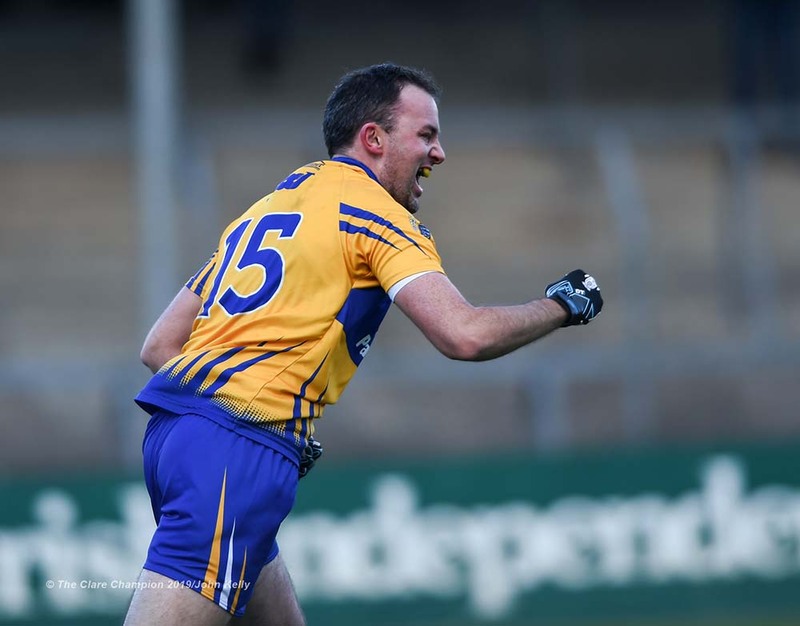 Kieran Malone of Clare celebrates after scoring a late goal during their National League game against Cork at Cusack Park Park. Photograph by John Kelly. 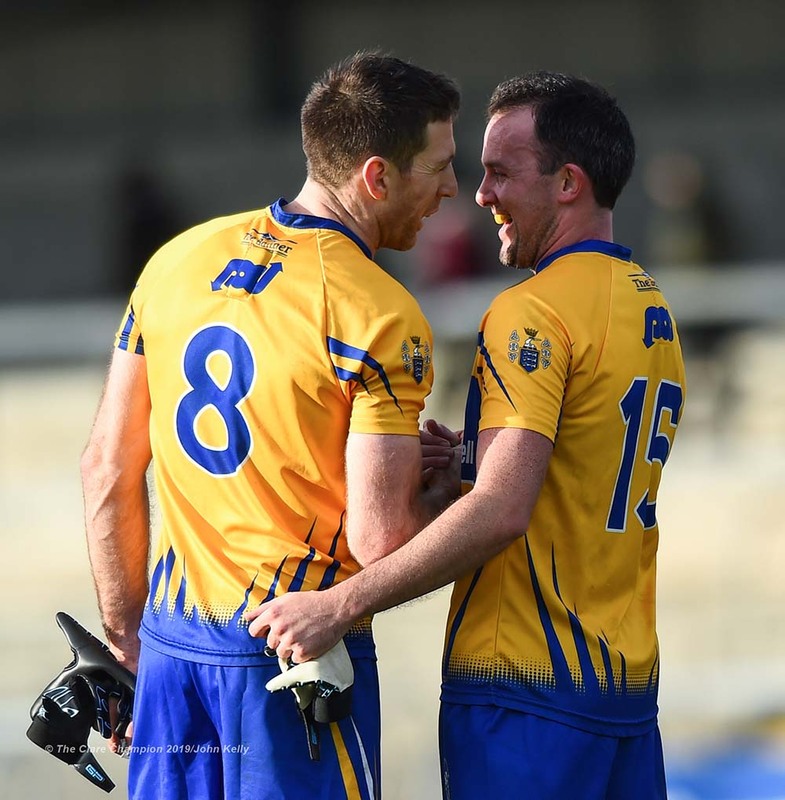 Gary Brennan and David Tubridy of Clare celebrate following their National League game against Cork at Cusack Park Park. Photograph by John Kelly. 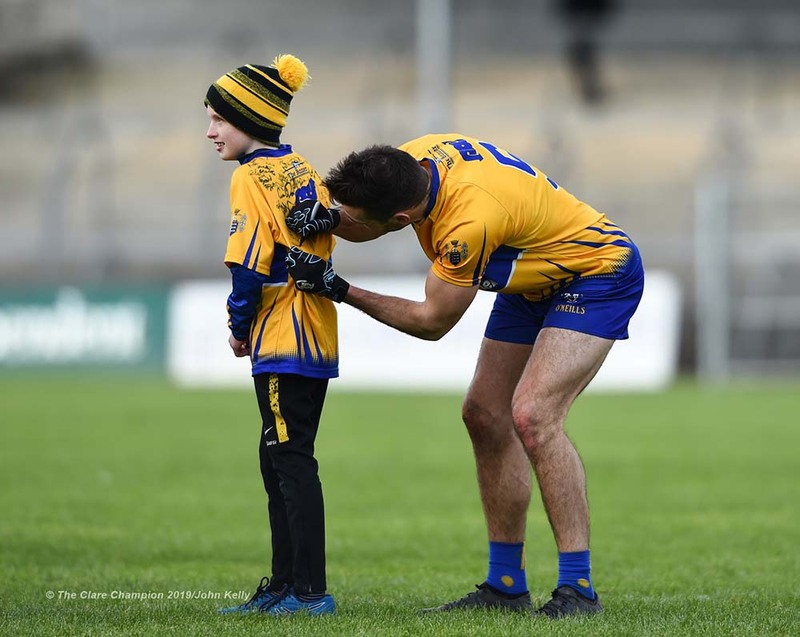 Dean Ryan of Clare signs an autograph for young fan Padraig Murphy of Kilfenora following their National League game against Cork at Cusack Park Park. Photograph by John Kelly.